When running a blog or website, web hosting is the most crucial parts of your online business. It is something that you have to invest in every year or on a monthly basis to successfully run a self-hosted blog on WordPress. I never recommend the free web hosting services for professional use. But there is reliable yet cheap shared webhosting for WordPress that you can quickly get between $4month-$20/month, according to your traffic or other requirements. Your web hosting cost increases with time. If you newbie or running a blog with small traffic then you can satisfy yourself with shared hosting but if you need later dedicated hosting or VPS hosting are for you. At the beginning of your blogging journey, you may not be able to figure out the steps to start a self hosted WordPress blog. You may also worry about high costs of web hosting. There is no doubt that 90% times a newbie blogger buys a costly hosting plan for his blog. Even if you are using the discount coupons, still cost of renewal is usually higher then buying a new web hosting from the different web host. 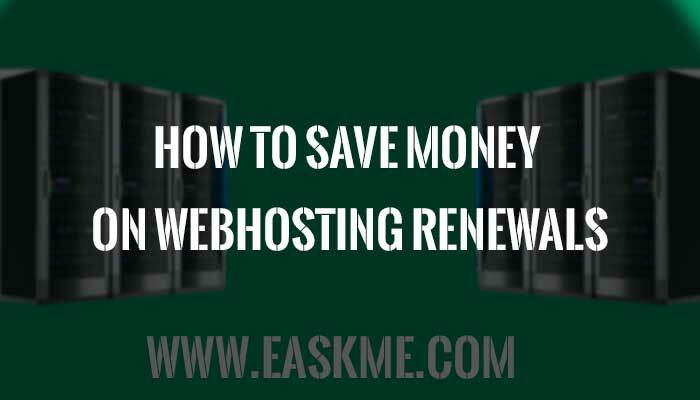 Today I am going to help you figure out how you can save money on web hosting renewals by just following these tips. Some of them can even help you during your first purchase of web hosting. But others will work when your hosting is about to expire, and you are in need of web hosting renewal. If you are about to launch a new blog, then you surely need a new web hosting plan. During your first purchase of web hosting service, you need to take care of few things. Even if you renewing your hosting package, still these tips will be helpful for you to save money on renewal bills. I am going to share three ways to help you save money on hosting renewal in any scenario. Note: This post is related save money on shared hosting only. It may work on other hosting plans also such as VPS hosting, dedicated hosting and Managed Wordpress Hosting. Let me first cover the scenarios when you are about to buy a new web hosting for your website or blog. This is the time when most of the bloggers make a mistake and end up spending more on web hosting packages. Every web hosting company runs discounts and deals every month. Search for the discount coupons before you buy hosting for your blog. I am also sharing various hosting discounts on eAskme that will help you save more. The second mistake that 90% bloggers make is that they buy hosting for one year only. If you also do the same that means the next year company will make you pay the high amount for renewal of your hosting package. You may hardly find any discount coupon for hosting renewals. I recommend that you should buy hosting for more than a year and save more. Also, when you purchase a hosting package, purchase it from a reliable web hosting service provider and purchase for more than a couple of years. Whenever I buy a Web hosting for my clients or myself, I always go for buying 2 or 3 years web hosting package. It helps me save more. Now let me share an example with you. But is you are buying BlueHost web hosting for three years then it will cost you $3.95*36 months=$142.2. Now you see that if you purchase web hosting for more than years, then you will save $84 straightaway. This is the beauty of purchasing Web Hosting packages for more than one year. This is the efficient way to save money on the new hosting purchase and hosting renewal. This means you will grab better hosting discounts. But the problem is that you may not be able to move your blog or site to other hosting as you have already paid for 2 or 3 years. This way you may feel stuck. 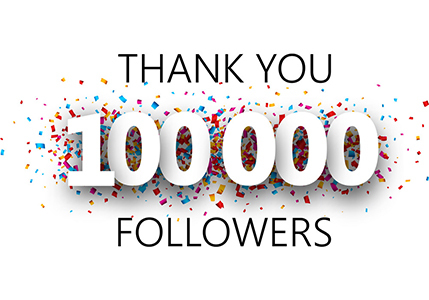 This strategy works best only for new blogs or micro niche blogs. Now, this is the technique that will help you save money on hosting renewal bill every year.You can use this hosting technology every year. I have been using various hosting services such as HostGator, BlueHost, Siteground, etc. I like to reveal that there is no difference between the quality of BlueHost and Siteground. So you can choose either of them. Whenever you receive an email to renew your hosting plan, or you know that you have to renew your web hosting within few days, just look for the best discount, sign up for that web hosting service provider and move your blog. Do you know that Siteground offer free site migration? This saves you from any tech issues. It is not hard to move your Wordpress site from one hosting service provider to another. This method will help you save $20-$50 every year. This approach is useful for those who can change hosting companies and technically savvy. But if you are not technical then stick with the first strategy to save money on your hosting renewal. This approach always works for me. When I need to renew my web hosting, I just call to the customer support of my current hosting company and ask them to offer me some excellent discount to keep my site running on their server. This may not work always, but this will give you a better chance to grab some good discount. If this does not work for you, then strategy No.2 is for you. Remember: Small savings are small earnings. I believe I have answered the question about how you can save money on web hosting renewals. If you still have any problem feel free to ask me via comments. If you find it helpful, do share with your family and friends on Google Plus, Twitter, and Facebook. Don't forget to subscribe eAskme newsletter to stay tuned with us.